With recent stories of data breaches rocking companies as large as LinkedIn, past examples of failed company security policies leading to breaches leave other businesses plenty to learn from. In a business landscape which is slowly gravitating towards a predominantly digital way of doing business, new threats targeting specifically electronic information are forcing companies to reevaluate their entire security processes to also include these digital risks. So as you turn to now look back at your own companies security policies, it’s essential you ensure your practices also include consideration for protecting digital documents and data. 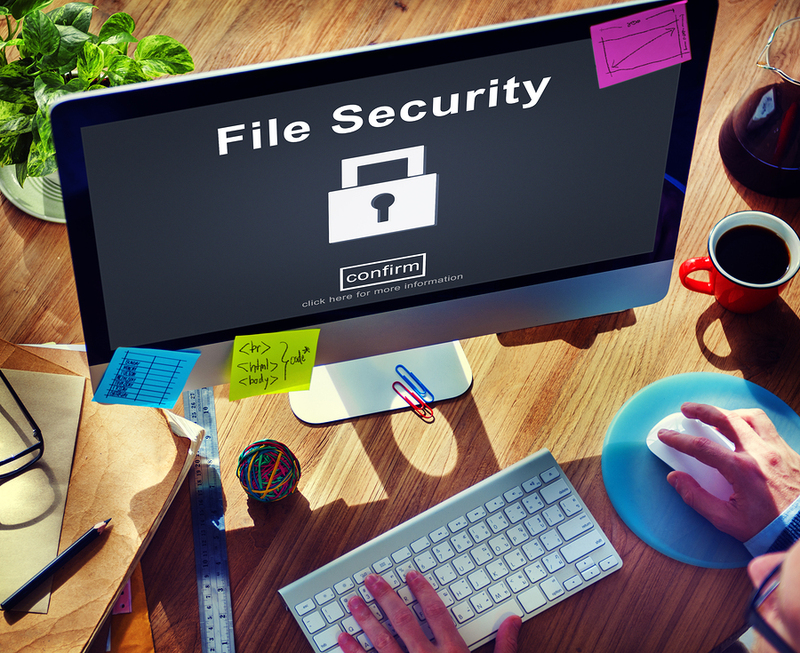 What steps have you taken to safeguard your information stored using cloud storage or document management systems? Where does encryption fit in, how well-educated are employees on security, or what risks do your business associates pose? Below, you can find a collection of helpful information covering the subject of security in a digital world—ranging from an in-depth white paper to an assortment of related articles and videos, get the breakdown on protecting electronic information from data breaches and theft here. Check Out the In-Depth White Paper and Other Articles Below to Learn More! Serving as proof of the impact a data breach can have on companies, recent stories of data breaches demonstrate the need for company security policies to be updated in order to keep up with the evolving electronic risks which threaten company information today. Throughout this white paper, we provide not only case studies to help businesses owners get real-life examples of both good and bad security practices—but additionally outline the gaps in company defenses that attackers frequently exploit and the top strategies businesses have for proactively preparing for them. Interested in learning more about preventing data breaches and business identity theft? Check out these articles, related videos, infographics, and more! Encrypting documents and data should be a basic building block for any company’s security systems, however, all too many businesses come to learn this essential best practice only after it’s too late and their company has been crippled by a data breach or theft. Get the breakdown on encryption and how your business can proactively put it to good use here. With information security requiring more and more attention, it’s smart to know of several ways to keep your private information secure. Here we will focus on data encryption. A brief video will take you through what data encryption is and why it is crucial for businesses and homes to take advantage of. Data breaches are becoming more and more common. As technologies advance we use the internet for more and more transactions, which puts our information out there for anyone to access. This infographic goes over some basic statistics on data breaches to give you a better understanding of what a data breach is, who is after your information, and how they get access to it. Using an electronic Document Management System can help protect your business from becoming a victim of data breaches. Physical files are more vulnerable to aiding in leaking sensitive information, while electronically stored files in a secure cloud offer an extra layer of security. Yahoo was hit with one of the most historical data breaches ever in 2016. Find out what happened to them, how they went about it, and what your company can do to help prevent becoming a victim of a data breach. Need a Secure Option for Storing and Protecting Digital Documents? Record Nations is Your Answer! To get more information on any of Record Nations’ available document scanning or storage services, or to request free quotes on hard-copy and digital document storage options near you, just give us a call today at (866) 385-3706, or simply fill out the form to the right of the screen today! Within minutes of your request, one of our experts will be in touch to provide you a list of free quotes from the top service providers in your area!